Translated by Constance Garnett Notes and Introductions by David Rampton, Department of English, University of Ottawa Gogol's works constitute one of Russian literature's supreme achievements, yet the nature of their brilliant originality, comic genius, and complex workings is difficult to summarize precisely. The Government Inspector, a perennial favourite on stage and screen, is considered a national institution in Russia, and Gogol's stories present us with one of the most marvellous worlds a writer has ever created. His quirky characters - the lowly official who imagines himself to be the King of Spain, the man committed to chase his nose around St. Petersburg, a whole village paralyzed at the prospect of being visited by an authority from the capital - are immortal. 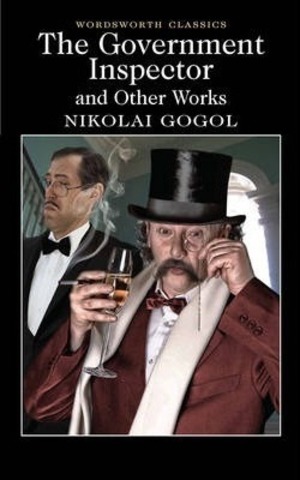 Although Gogol's fiction was commandeered by Russia's progressive critics as the work of an important social commentator, he was in many ways an arch-conservative, and there is a madcap strain in it that makes him a precursor of Kafka and absurdist drama.